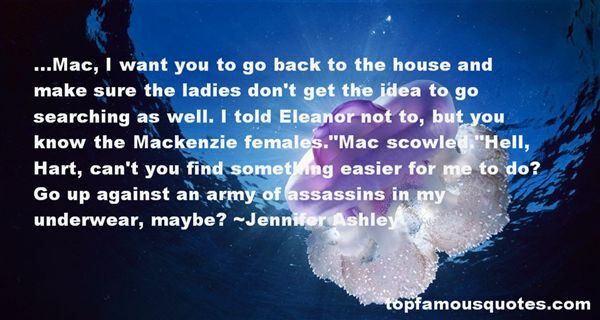 Reading and share top 37 Jennifer Ashley famous quotes and sayings. Browse top 37 most favorite famous quotes and sayings by Jennifer Ashley. I will never know you, nothing about you, what has died inside you, what has lived invisibly. I am elsewhere now." What Did Jennifer Ashley Talk About?